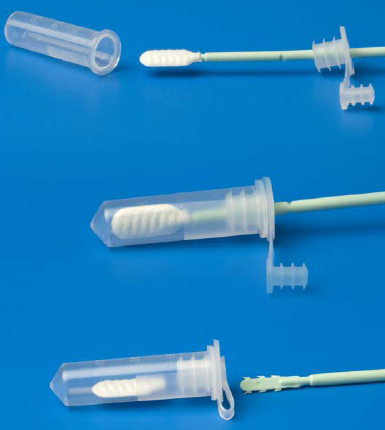 Buccal swabs are used across a wide variety of fields. They are used in research laboratories, forensic labs, genetic testing laboratories, veterinary genotyping and diagnostics laboratories, paternity testing laboratories, and clinical diagnostics, to name a few. The type of buccal swab used can not only have an effect on the amount of DNA collected, but can also impact further stability and extraction in downstream applications. Isohelix swabs have a novel matrix that ensures efficient collection and increases DNA yield and ease of extraction. When paired with Isohelix kits, even higher yields and purity can be obtained. There are various different swab types available to fit your needs. All swabs are ethylene oxide treated and are tested for DNA contamination. The SK-1 swabs come with a 5 mL tube. After collecting the shaft can be easily snapped above swab head. The SK-1 swabs are best paired with Dri-capsules, which allow for storage of the DNA for at least 3.5 years at room temperature! The swabs can also be purchased with a 2 mL tube. After collection, the lid on the 2 mL tube is securely closed. If air venting is desired for drying of the swab in the field, the stopper can be opened while still having a closed cap. The swab can then be removed by pulling on the shaft. If desired, swabs can also be purchased individually wrapped, two per pack, or three per pack. Need to effectively stabilize and/or isolate your DNA? The DDK kit is a no column quick processing kit. The DDK kit includes a stabilization reagent (stabilizes for up to 5 years) and isolation reagent that maintains both high yield and purity. 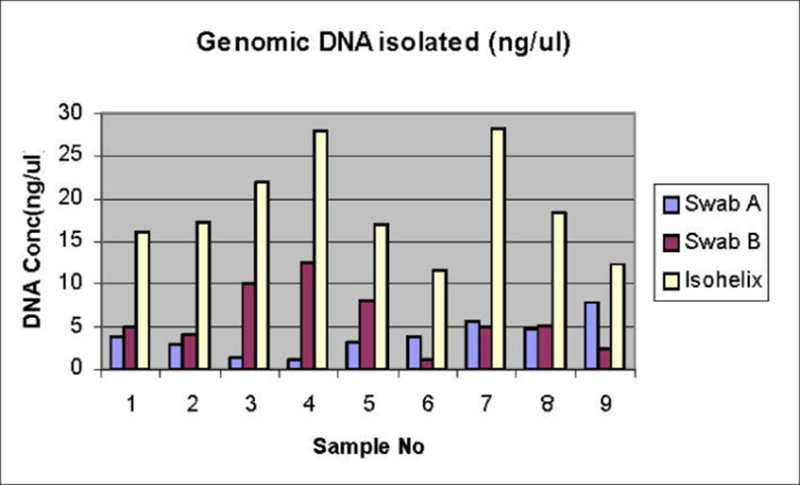 Up to 10 µg of DNA can be obtained from each swab with the DDK kit. The two cartridge based kits, XtraClean and Xtreme are important when extra high purity is desirable. These kits are great when downstream analysis assays are arrays or quantitative PCR. Try the BEK Buccalyse DNA Release Kit. Obtain a 2 to 4µg yield in minutes! Isohelix swabs and kits can increase not only your DNA yield, but stability, purity, and ease of extraction. Contact MIDSCI today for more information.